I still use Subversion regularly, and quite often I use it to handle big files. Even after two years since the malware chaos, I still thought there was a reason to use SourceForge.net, up until now. But now maybe it is time for SourceForge.net to meet its demise. In February, Sourceforge moved their data center, and during that process, their system stopped for about a week. Going into a halt for a week felt too long, and I was fuming because there was no announcement made in advance, yet I stayed positive while waiting patiently, in hopes that what awaits ahead is the comfortable use. 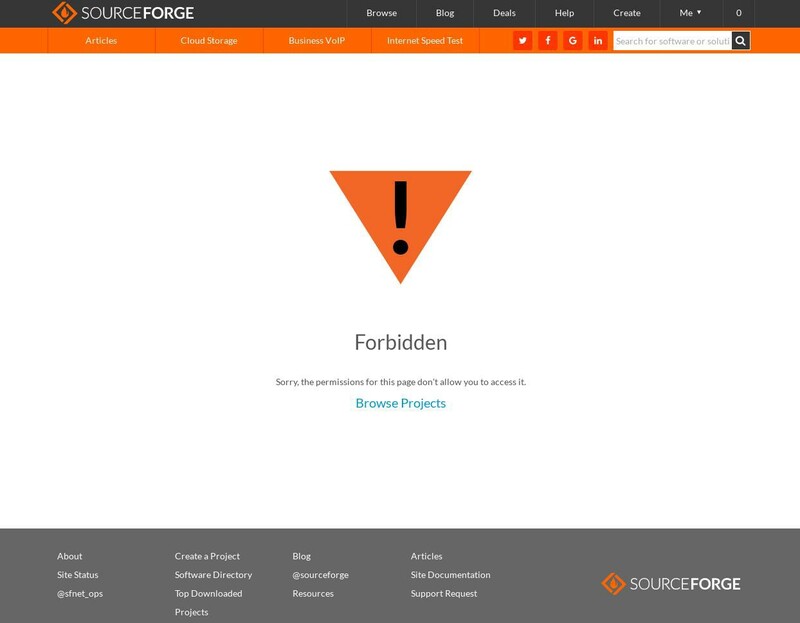 Contrarily, ever since the relocation of the data center, SourceForge system has become a system with an extreme level of instability. 500 Error keeps happening all the time, and the frequency of not being able to even upload nor download has gone up incredibly. Even if you manage to keep connected, the speed is extremely slow that you can’t even commit without feeling frustrated. And about a week ago, the SVN (and Git./Hg) server’s response has slowed down drastically. There’s been an increasing number of users who submitted complaints to SourceForge support tickets, so since that day I started checking those support tickets frequently, hoping that I would be able to quickly find out when their system gets back to normal. Contrary to my expectation, since a few days ago, I started seeing astonishing tickets. There were more and more projects that were saying that the latest revision of Subversion has gotten lost. The ticket below will help you follow what has happened. It appears that due to the failure, that occurred on SourceForge’s storage system, made SVN data to recede to a state a few days ago. Also, the commits that were submitted in those few days have gone missing too. If this happened on Git, things could have been easily restored by the project side, but with Subversion, it is impossible to completely restore things back to the original state. Therefore, in order to prevent the repercussions of the lost latest revision from spreading any further, what needs to be done is to quickly inform all the projects who are using Subversion and warn them of this situation. But they haven’t done anything yet. By all rights, they should even be abandoned and dispelled from the public for this reason only. That said, it appeared that someone in the support team was answering the submitted tickets of complaints, so I kept believing that the situation would get better. While I continued to observe, increasingly more and more tickets complaining about their disappeared commits were being submitted. Among these complaints, there was Tiki project. The page of the URL below will let you check for yourself that they actually went through with that problem and made a complaint about it. I had been observing the complaint ticket, and then when I revisited the page after a while, it turned into a Forbidden page. Although I was a bit concerned with the message saying Forbidden, but at first, my levity led me to think that it’s just another glitch similar to the recent 500 Error. But now, it doesn’t sit right with me. There were a lot of tickets that complained about the disappearance of their commits, and yet most of them are taken out of sight now. SourceForge ticket system put all the tickets in sequential order, so you can guess the URLs. Because most of the tickets that were submitted to support were complaints about the SVN commits having been lost, so one by one, I accessed those URLs. As a result, most of the complaints have turned into a Forbidden page. On a normal ticket system, even when a ticket gets closed, you could still access the URL directly to have a look at it, and indeed, even on this SourceForge support ticket system, you can still check most of the tickets that were closed in the past. But, it’s getting more difficult to confirm the fact that the commits, that were lost within a short period of this one week, have gone eternally unrestorable. SourceForge management has not yet made any announcement so far regarding this system failure, and the only thing that can prove what’s actually happening is the information on support tickets, but if these are hidden, then it will be difficult for most of the users to even realize that there’s a problem on SVN. I think there are still many projects out there who are unaware of the fact that their commits have gotten lost eternally. And clearly, SourceForge is trying to conceal the fact. Well, in retrospect, Filezilla recently abandoned SourceForge, Tiki looks like they will use Gitlab as their main platform, and TortoiseSVN has migrated to a platform called OSDN, which is similar to SourceForge. Perhaps, now is a time to reduce SourceForge to a thing of the past that lives only in history.